A couple years ago I observed how the automotive landscape in China had diversified since my first trip there in 2002, when just about every car was a family-friendly four-door sedan wearing the emblems of Volkswagen, Audi, and Buick. 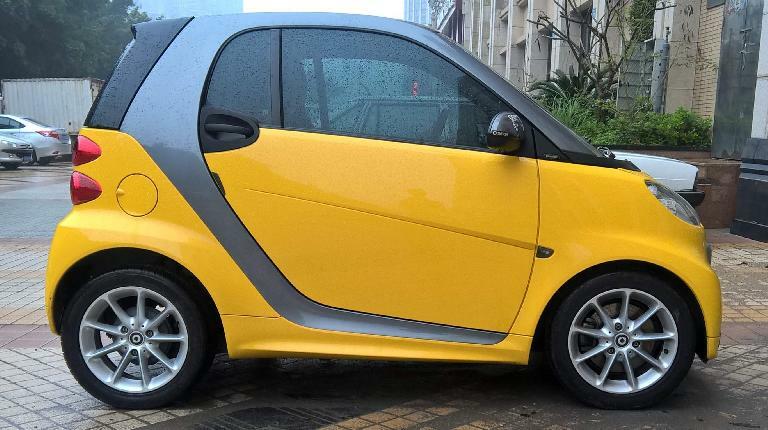 In that 2014 article I already mentioned how there were a lot more brands and that SUVs, hatchbacks, crossovers and even two-seat sports cars gracing the streets. So in this post about cars in China I will focus more on Chinese marques, many of which most Americans probably never have seen nor heard of. 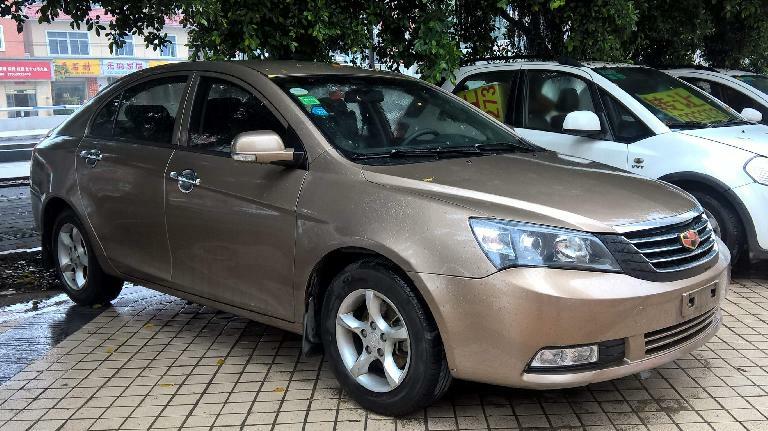 BYD Auto (motto: Build Your Dreams): This private Chinese manufacturer builds a cute F0 5-door hatchback that is about the size of a Chevy Spark. I’ve also seen its name on an unfortunately generic 4-door sedan. It started out as a rechargeable battery manufacturer in 2002 and is now China’s largest, capturing over 50% of the world’s cell phone battery market. Warren Buffett purchased 10% of the company in 2008 (and wanted to buy more were he allowed), and while it has yet to make an impact in the U.S., BYD sold more electric vehicles than Tesla did last year. Its rapid rise has been due in part to using cheap Chinese labor instead of more expensive automation. 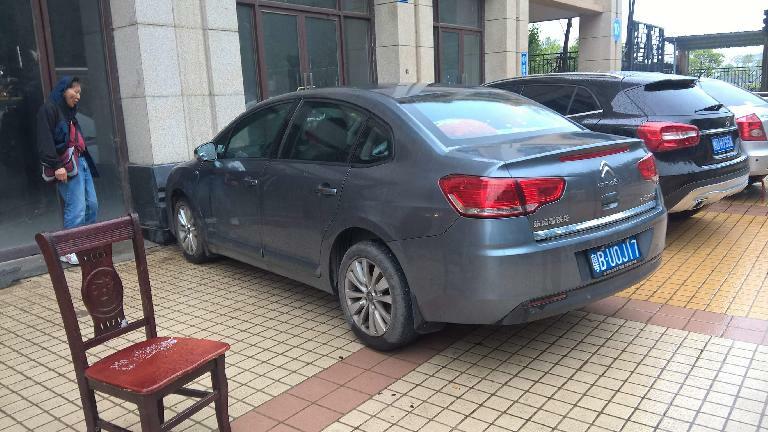 Changan Automobile: A state-owned company that makes some decently styled cars. A hotel driver gave my parents and me a ride in a new Changan sedan equipped with a touch screen and what seemed like a high-quality interior and a smooth ride. I was impressed, thinking that this car seemed on par with a modern Kia or Toyota. Changfeng Motor: A maker of light trucks that is wholly owned by the GAC group and originated as a branch of the People’s Liberation Army. It used to license several Mitsubishi models. Chery: A state-owned company infamous for the Chery QQ, which is a complete rip-off of a Chevy Spark/Daewoo Matiz. The doors are even interchangeable with those models. Geely: A private Chinese automaker that used to have four sub-brands, including Emgrand (for affordable luxury), Emglon, Gleagle, and Shanghai Maple but has phased all of them out (the first four in 2014 and Shanghai Maple in 2009). It also owns London Taxi and Volvo, both famous international marques. 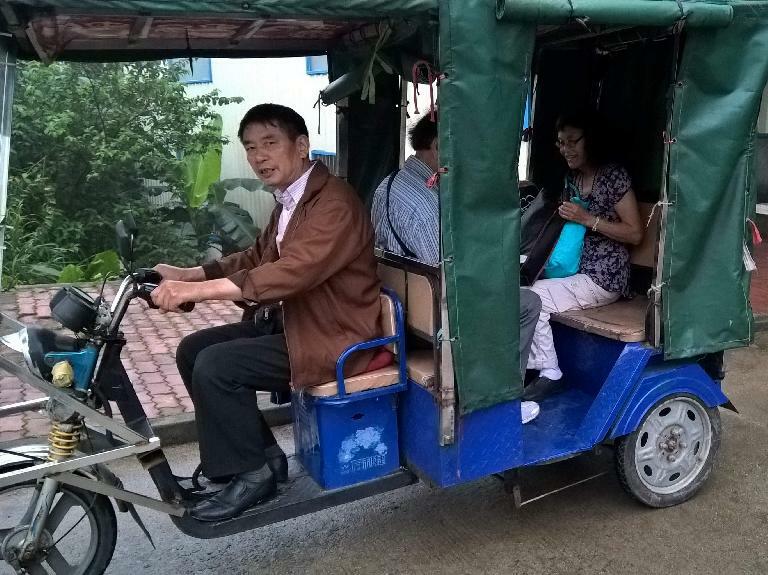 Jiangling Motors (JMC): A state-owned manufacturer of trucks and SUVs. 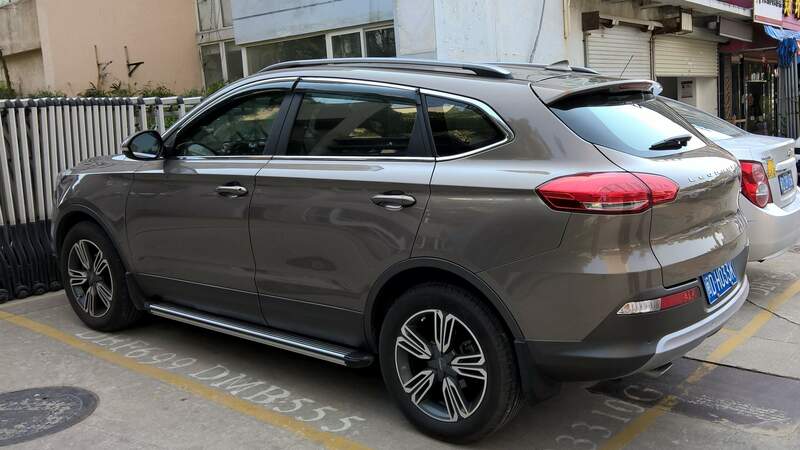 Landwind: A joint venture between Changan and Jiangling. It rehashed some SUVs based off old-but-legitimately-licensed Isuzu designs, and more recently has made a shameless Range Rover Evoque clone that sells at one-fourth the cost of the real thing. 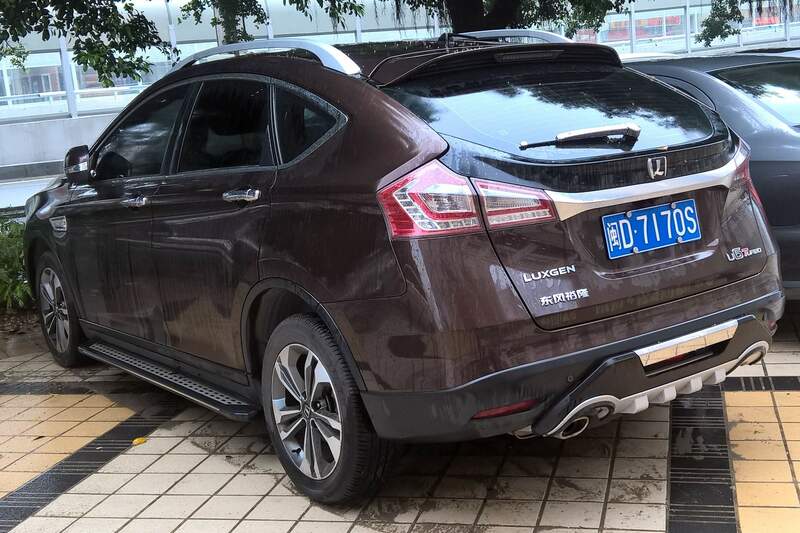 Leopaard: An SUV brand owned by Changfeng. MG Motor: Owned by SAIC nowadays, it has long strayed from its British roadster roots. In China the famous octagon now is mostly on some sporty five-door hatchbacks, including the MG3 and MG5. An SUV was just released too featuring MG’s first ever automatic transmission. Roewe: Also owned by SAIC, Roewe initially made cars using technology from the defunct British carmaker MG Rover. SAIC was unable to obtain the rights to the Rover marque, so it created the Roewe brand instead. Qoros, a joint venture between Chery and shipping/energy giant Israel Corporation that brought its first car to market in late 2013. SAIC Motor: This state-run company owns both MG and Roewe and also sells cars under other brands. It has had joint ventures with companies like Buick, Chevrolet, Skoda and Volkswagen. Volvo: Volvo has been selling some pretty nice cars ever since ownership changed from Ford to Geely. 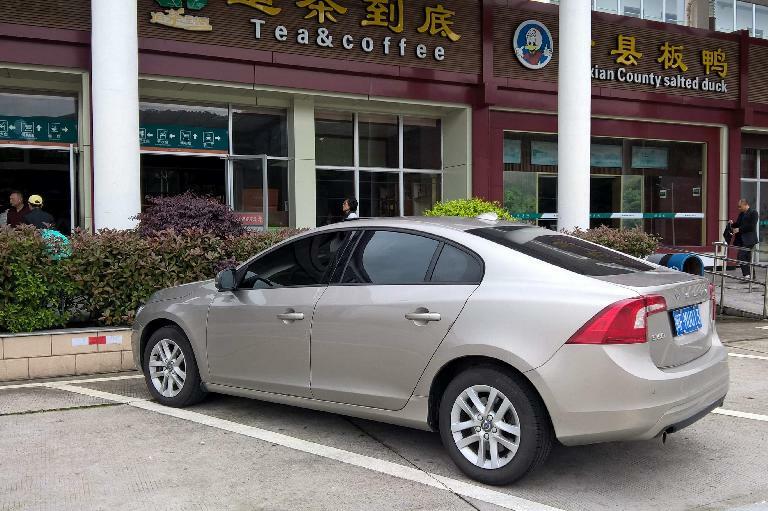 In 2015 Volvo started exporting the S60 sedan manufactured in Chengdu to the U.S., the first mainstream made-in-China car to make it to American showrooms. 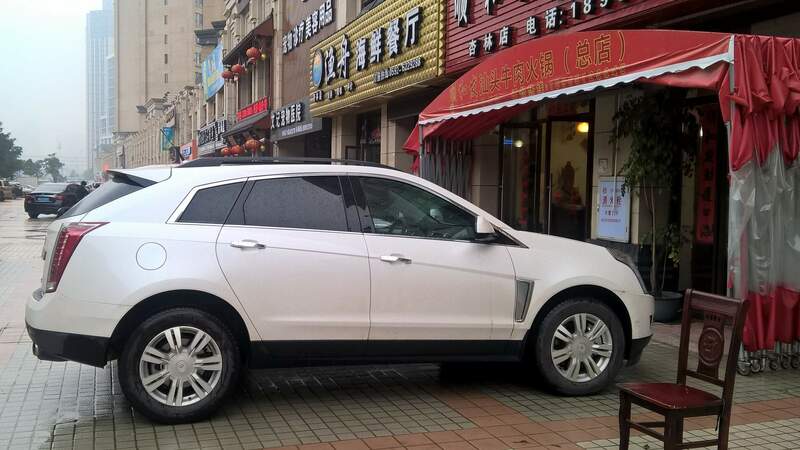 Wuling Motors: A maker of minivans. Its logo consists of five red diamonds, perhaps to one-up Mitsubishi which has a logo made of three red diamonds. 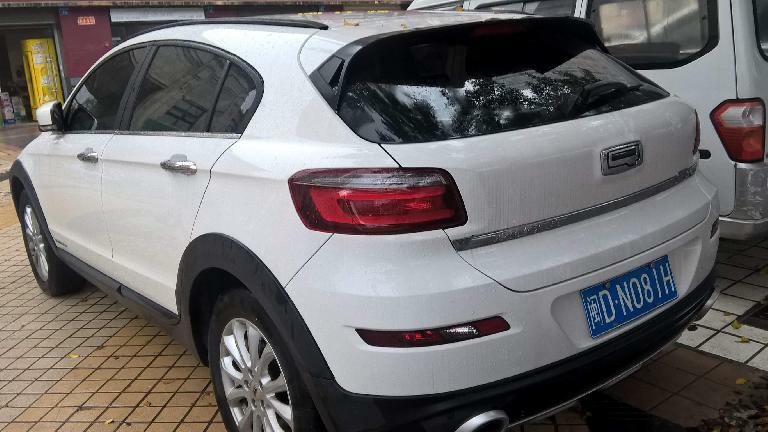 The “Big Four” Chinese automakers include Changan, SAIC, Dengfeng Motor, and FAW Group. I did not notice any Dengfeng and FAW vehicles and thus did not list them above, although I’m sure they were around. Their cars or logos might have been too generic to be memorable. As many Chinese marques I noticed during my stay in China and listed above, there are many more! Wikipedia has an even more comprehensive list. 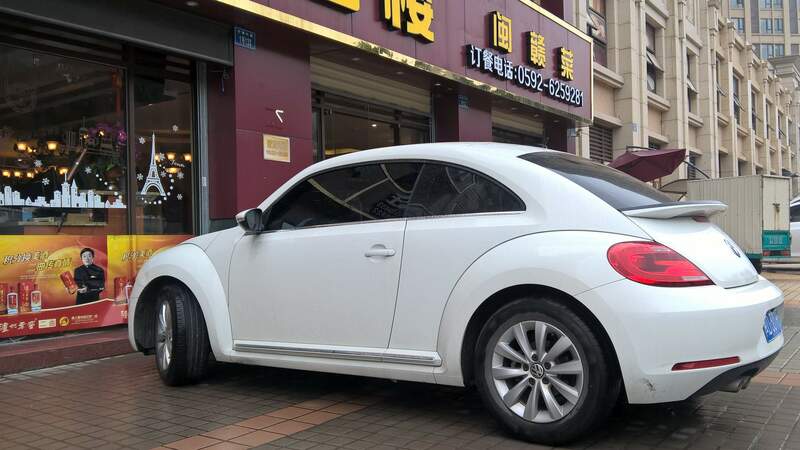 China became the world’s largest marketplace for cars several years ago, and both General Motors and Volvo (among others) sold more cars in China than in the U.S. recently. 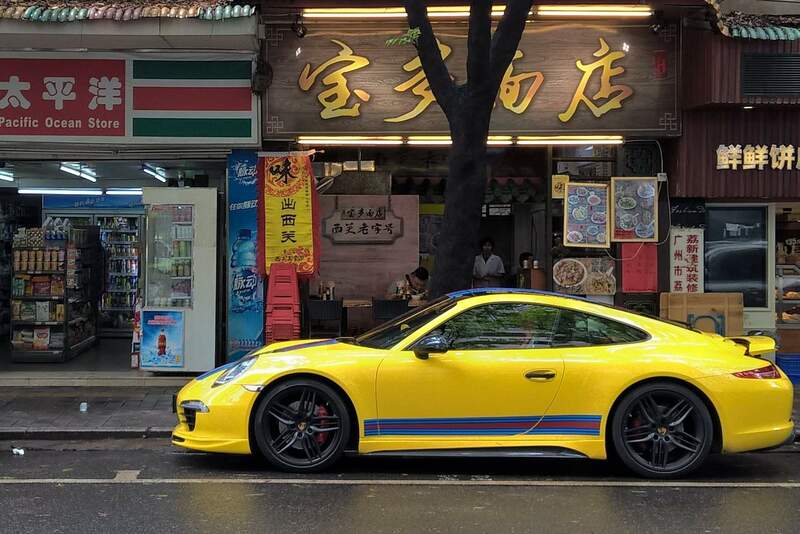 Opportunity for sales in China remains huge despite its recent economic slowdown since it has one billion more people than the U.S. and the vehicle penetration rate is only one-tenth in comparison. 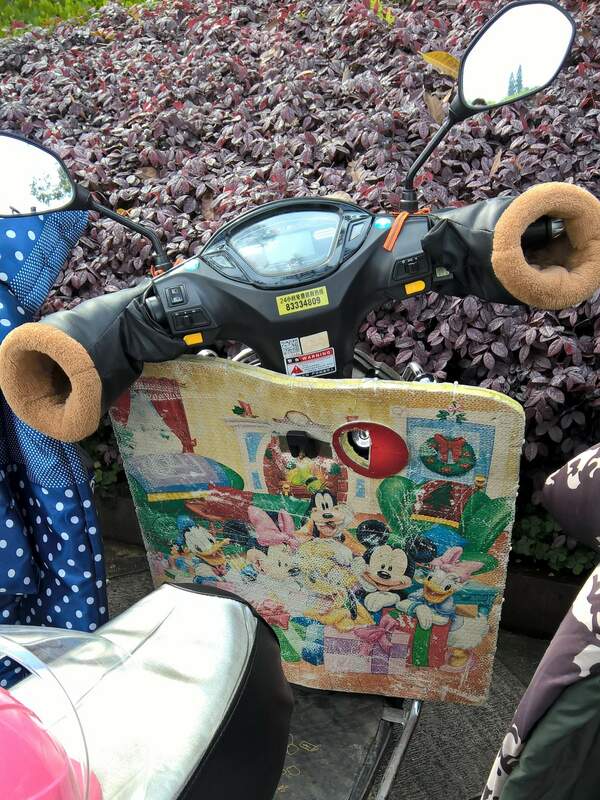 Speaking of emissions, China announced plans to build charging stations for 5 million electric vehicles by 2020. 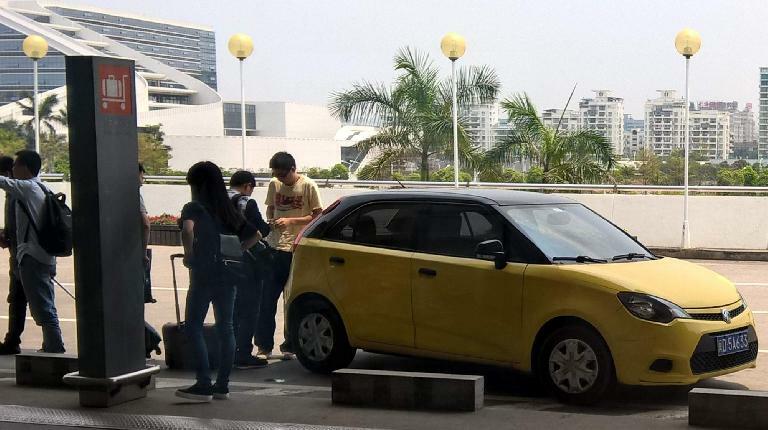 This is good news for the many Chinese people who do not have a garage to charge their vehicles in, and should spur a lot of electric car sales. 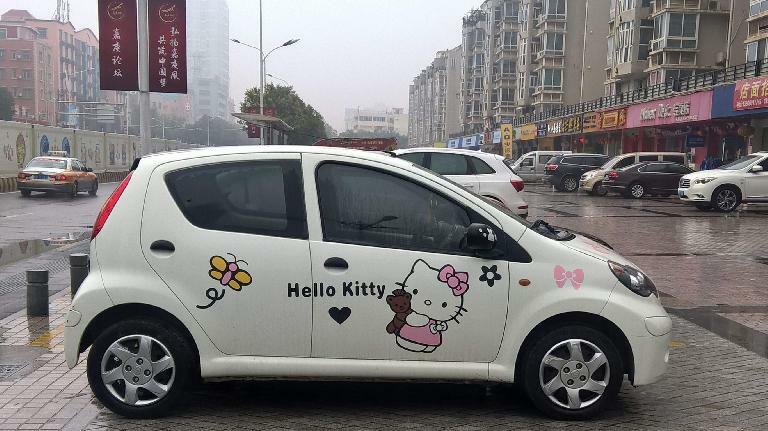 The Chinese government is providing a lot of subsidies and tax cuts for electric cars and wants millions of new cars—if not the vast majority—sold in 2020 to be electric.